Deleted on advice of resident legal counselors. Looks great, but I hope you don't run into issues using Mopar's logo on stuff you have made for other folks. Good point there Kirby. 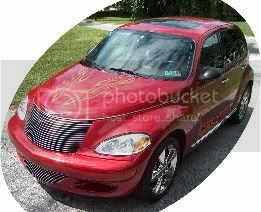 Chrysler has been on the war path lately regarding people using their name, logo, pictures, etc. without their permission. All will be fine until they catch wind of it, then it will have to be removed or cough up some money their way. You will get a S1 badge when you get the S1. It says MOPAR STAGE 1. All you have to do is fill out a card and mail it in and you get it. I have yet to do this tho. I want to be stelth!